“Don’t despair, if you feel political decisions nowadays are not being made on your behalf—or even against your wishes,” says Clayton Apikan Brascoupé, a Mohawk farmer who has lived and worked for many years at Tesuque Pueblo, in New Mexico. In May, TNAFA held a two-day tree-planting and -care workshop. The course attracted some 25 students from an Apache community, the Navajo Nation and other Pueblos, including Acoma, Zuni, Taos, Hopi and Ohkay Owingeh (formerly called San Juan Pueblo). Participants put in trees and mulched them with donated plant debris from a large commercial greenhouse operation and with easily obtained discarded cardboard and newspaper (“it’s everywhere!” says Brascoupé). Water was diverted from sources, like runoff from buildings, that might have been ignored or lost otherwise. Partners of the workshop included the Taos County Economic Development Corporation (TCEDC), where the trees were installed, New Moon Lodge, a Pueblo-based substance-abuse rehabilitation service that provided some of the students, and naturalist Joel Glanzberg, who was one of the presenters. 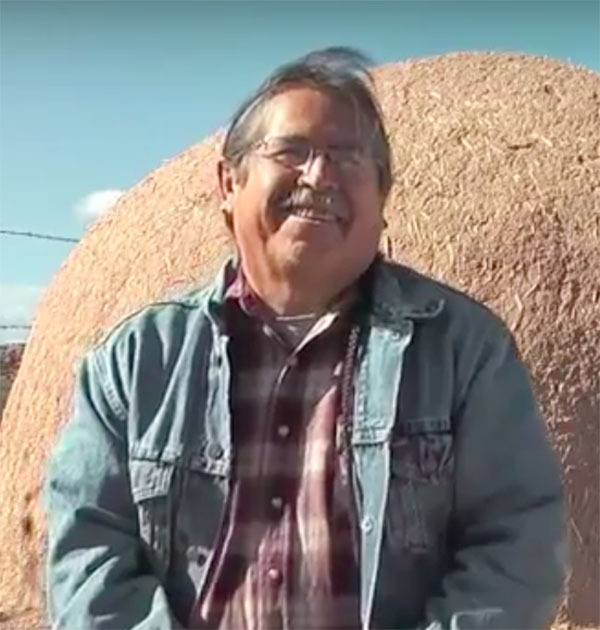 The instructor Jacobo Marcus was provided by Hopi Tutskwa Permaculture, a community-based organization at Hopi Pueblo with an orchard, farmers’ market, youth summer program, home-building project and much more. “The students were excited by the information we covered and planned to stay involved. One will work in his family’s orchard and asked if he could also come by and help out at Tesuque,” says Brascoupé. This fall, another tree-centric TNAFA course will include more information on propagation and grafting and will explore tapping the sweet maple-like sap of the box-elder, a tree native to the area. TNAFA also offers an annual six-day Indigenous Sustainable Food Systems Design Course. This year, it will take place July 22–August 3. Lessons are based on traditional concepts that mimic natural processes and, in doing so, improve the many systems that are currently under siege, from air and water quality to personal and community diet and health. TNAFA attracts young people to its courses, along with interested adults, ensuring that subtly effective indigenous environmental thinking continues into the future. Brascoupé is one of many members of the international community using environmental actions to increase a sense of empowerment and a belief that this can lead to improved access to justice. The late Wathari Mangai won the Nobel Peace Prize in 2004 with a women’s tree-planting program in Kenya that empowered participants and eventually resulted in constructive political change. “We too can create change in our own communities, our states and the nation,” says Brascoupé. Other indigenous involvement in climate-change control can be seen in the proposed Off Fossil Fuels (OFF) Act, sponsored by Congressperson Tulsi Gabbard (D-HI), who is of indigenous Samoan ancestry. Major environmental groups support the bill. Among them, Food and Water Watch calls it the “strongest, most aggressive climate and energy legislation” and is celebrating the idea in New York City through Climate Action Mondays. New York City and other American jurisdictions, including 17 states and large cities like Houston, Miami, and San Francisco, are behind the fight against climate change. This is despite the U.S. having pulled out of the Paris climate accord—or perhaps because of the decision. New York’s battle against climate change is longstanding. 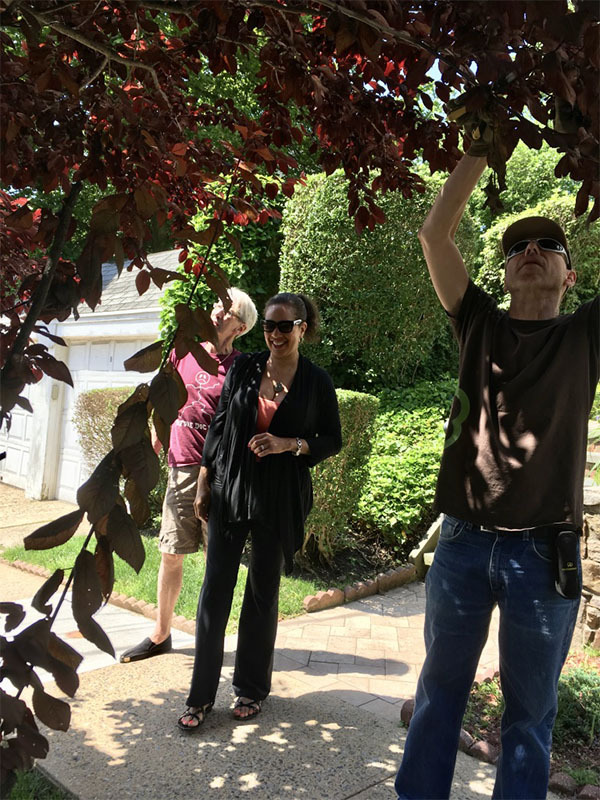 Along with an efficient and popular public transportation system, the city has well-established programs such as free rain barrels, a Million Trees planting program, and a volunteer corps of more than 12,500 Citizen Pruners and 8,000 additional youth trained to care for street trees. The city has set aside money to retrofit one million buildings and its official vehicle fleet for lower energy use.